As we have previously heard in Ponce's Biography, after meeting Manuel Ponce in Mexico in 1923, Andrés Segovia requested compositions for the guitar from that composer. The fruitful collaboration that followed this promising beginning has been recorded in the Segovia-Ponce letters. Unfortunately the letters from Ponce to Segovia are believed to have been destroyed during the Spanish civil war, thus although one-sided the letters reveal the genesis and development of guitar works composed by Ponce and edited by Segovia. The history of two such works is illustrated here. … since I have the good fortune of having a real Sor of greater talent than his predecessor writing a sonata for guitar, I do not want this sonata to be inferior to one of Haydn’s for piano. … I threw myself into the finale like a hungry dog … and I am furious with the guitar. What you would least imagine – for the first time with your music!! 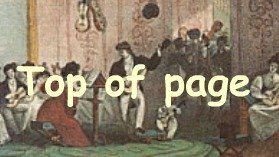 – comes out impossible: the arpeggios .… And you have coincided with the same type of difficulty that makes the prelude in the E major by Bach (violin solo) unbridgeable for guitar. And the difficulty, in both passages, is that it is necessary to have a succession of stepwise intervals on the same string, staying, at the same time, in one position, at times senselessly, in order to strike the disjunct note of the arpeggio. Do you understand? On the guitar the technique of the arpeggio is derived almost strictly from the possibilities of the blocked chord. What is not possible in a chord struck together, is not possible in arpeggiation, unless it is played very slowly. How are you going to fix this? I am truly desperate, because I like it as it is. Rescue it however you can, please! Do not modify the rhythm, nor the melodic disposition of the chords: change the form of the arpeggio. You will see how well the three previous movements go. 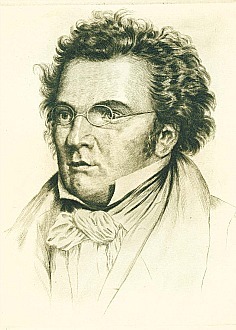 The andante is delightful: among the best that Schubert left without doing. I spend all day playing it. The guitar sounds delightful. Segovia was enthusiastic about the revised version which Ponce sent soon thereafter. In 1929 Ponce was asked to write a "theme and variations" on the Folias de España (a musical form/tune based on a set harmonic series, which had been in use for many centuries). Segovia introduced this request in a letter dated December 1929. ... I want you to write some brilliant variations for me on the theme of the Folias de España, in D minor, and which I am sending you a copy from the Berlin manuscript. In a style that borders between the Italian classicism of the 18th century and the dawning of the German romanticism. I ask you on my knees … if you do not want to sign your name to it, we will assign it to (Mauro) Giuliani, from whom there are many things to discover, and from whom they have just given me a manuscript in Moscow. I want this to be the greatest piece of the period, the pendant of those of Corelli for violin on the same theme. Manuel Ponce's Theme, Variations and Fuga on "Folias de España"
The resulting work was the monumental Theme and Variations on "Folias de España" and Fugue, which was considerably different to Segovia's idea. It was completed in 1931 and consists of a theme, twenty virtuosic variations showcasing the instrument’s technical possibilities, and a three-voice fugue. Segovia did not want a work of this length, and was concerned that it was too sophisticated for his audiences. His requests that the fugue be replaced by a short, dazzling finale were refused by Ponce, and so Segovia made major edits to the work : the theme was replaced, only 9 of the 20 variations were used, even the tremelo variation which he had specially requested was omitted. 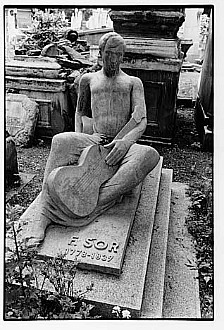 As it can be seen Andrés Segovia played a significant role in the creation of Ponce's works for the guitar. He served as editor, and also was responsible for the publication of a large majority of the works. 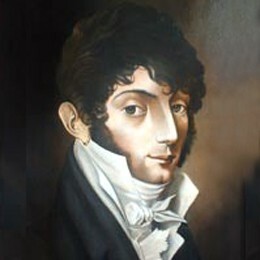 Of course Ponce's works featured frequently on the concert programs of the Spanish maestro as well. I more than anyone else owe gratitude to Ponce because he responded with the deepest sympathy to my ceaseless eagerness to metamorphose the guitar. And thanks to the spiritual forces which he-and other illustrious friends of mine-have put into action, I am now able to contemplate with intense joy the transformation of the chrysalis into a butterfly.